Wide plank flooring creates a look in your home that recalls the days before mass-produced lumber, when every plank was detailed with the finest craftsmanship. 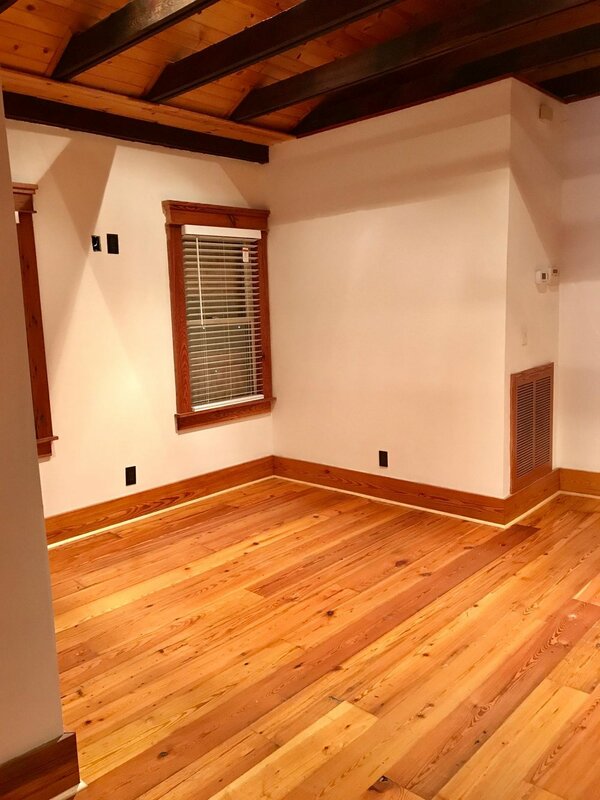 Wide plank floors originated in the 17th century, when first growth trees provided master carpenters with the width necessary to build simple, natural, and durable floors. With wide plank flooring in your home, you can strike a balance between modern interiors and the unique character of an antique floor. At Woodstock Vintage Lumber, we mill to match your order using historic reclaimed lumber: first growth lumber originally used in the late 1800s and early 1900s. We then deliver you a floor of the highest quality at a price lower than our competition. We do not install, but have several craftsmen that we can recommend. We have been working the same floor installer for over 15 years and he is very experienced with reclaimed lumber. Immediate access to a range of first growth reclaimed wood types, including: Heart Pine, Oak, Poplar, Walnut, Beech and more. Custom crafted to meet your needs, including variations in widths, lengths, and thickness.